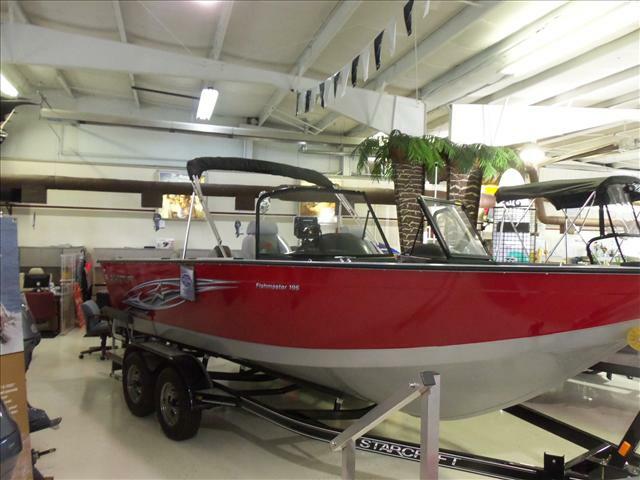 2016 Starcraft Fishmaster 196, This boat is powered with a Mercury 150XL. It comes with a Trailmaster trailer, trailerable ratchet cover, bow cushions and fuel water separator. 2016 STARCRAFT MARINE Fishmaster 196 Serious Fisherman Alert With its 100 inch beam, the 196 Fishmaster is a big-water fisherman’s best friend. The open floor plan gives you more room for rod storage and a huge, 41 gallon livewell. Plus, with a removable jump seat, you have the choice of taking along more anglers or keeping all that space for yourself. 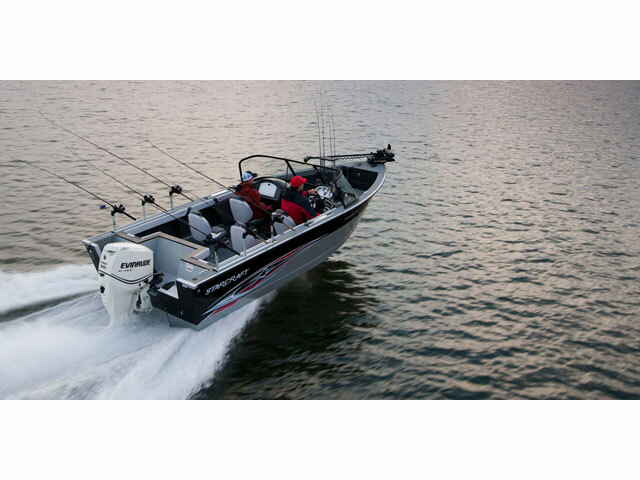 Fishmaster features a pro-style console with lighted gauges, rocker switches, stereo with J-port, and 12-Volt power point with space for an optional sonar unit. Other highlights include a wraparound windshield, a helm chair with slider and a full vinyl cockpit and casting platform for easy cleanup and durability. 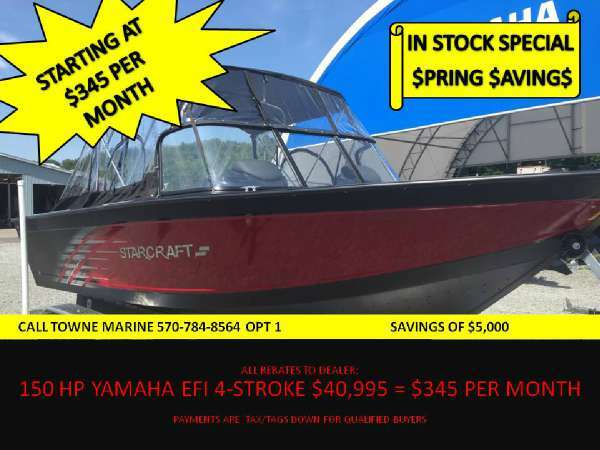 - Standard steering,3 bank charger,PRV350 stereo,high back helm chair,cover,150hp Yamaha,Trailmaster trailer. 2016 STARCRAFT MARINE Fishmaster 196 Serious Fisherman Alert With its 100 inch beam, the 196 Fishmaster is a big-water fisherman’s best friend. The open floor plan gives you more room for rod storage and a huge, 41 gallon livewell. Plus, with a removable jump seat, you have the choice of taking along more anglers or keeping all that space for yourself. Fishmaster features a pro-style console with lighted gauges, rocker switches, stereo with J-port, and 12-Volt power point with space for an optional sonar unit. Other highlights include a wraparound windshield, a helm chair with slider and a full vinyl cockpit and casting platform for easy cleanup and durability. - NICE BIG WATER FISHING BOAT. 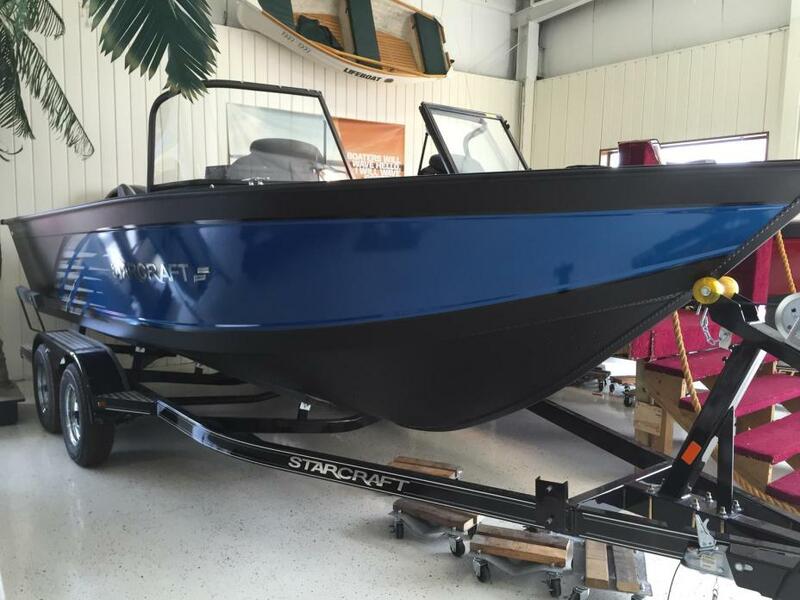 2016 Starcraft Fishmaster 196 With its 100" beam, the 196 Fishmaster is a big-water fisherman’s best friend. The open floor plan gives you more room for rod storage and a huge, 41-gallon livewell. Plus, with a removable jump seat, you have the choice of taking along more anglers or keeping all that space for yourself. Fishmaster features a pro-style console with lighted gauges, rocker switches, stereo with J-port, and 12-volt power point with space for an optional sonar unit. Other highlights include a wraparound windshield, a helm chair with slider and a full vinyl cockpit and casting platform for easy cleanup and durability. 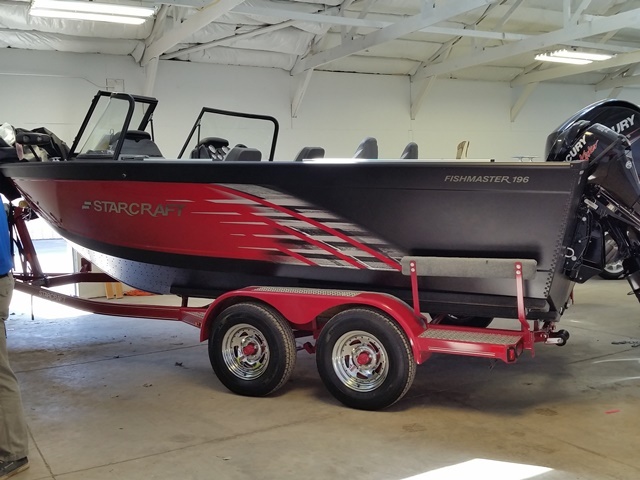 2016 Starcraft Fishmaster 196, With its 100" beam, the 196 Fishmaster is a big-water fisherman's best friend. The open floor plan gives you more room for rod storage and a huge, 41-gallon livewell. Plus, with a removable jump seat, you have the choice of taking along more anglers or keeping all that space for yourself. Fishmaster features a pro-style console with lighted gauges, rocker switches, stereo with J-port, and 12-volt power point with space for an optional sonar unit. Other highlights include a wraparound windshield, a helm chair with slider and a full vinyl cockpit and casting platform for easy cleanup and durability. 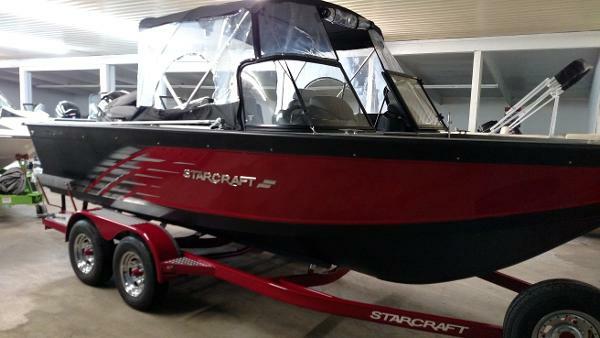 2015 Starcraft Fishing Boat Fishmaster 196, With its 100" beam, the 196 Fishmaster is a big-water fisherman's best friend. The open floor plan gives you more room for rod storage and a huge, 41-gallon livewell. 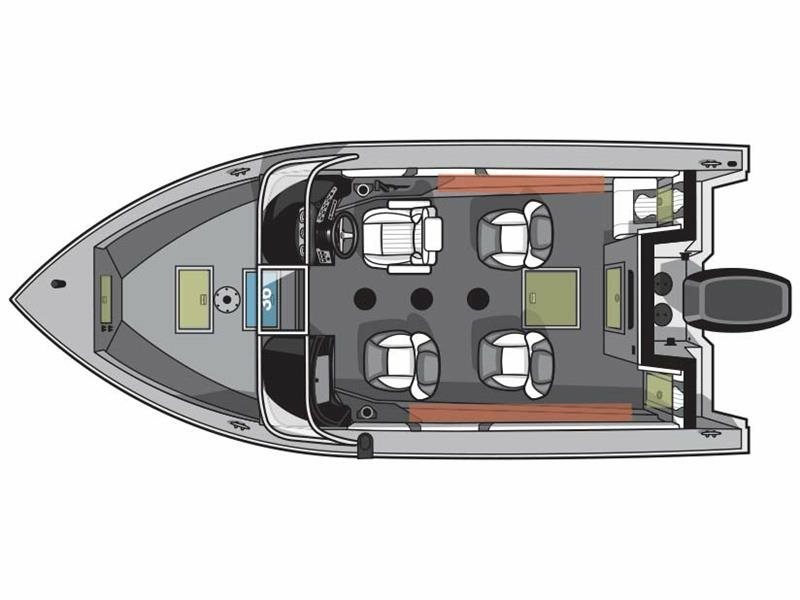 Plus, with a removable jump seat and stern seating, you have the choice of taking along more anglers or keeping all that space for yourself. 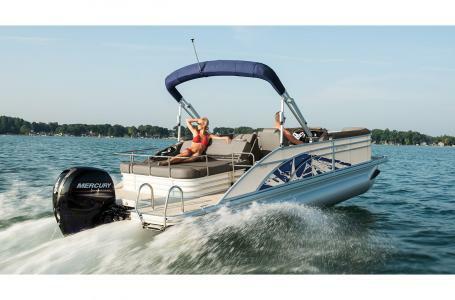 Fishmaster features a pro-style console with lighted gauges, rocker switches, stereo with J-port, and 12-volt power point with space for an optional sonar unit. Other highlights include a wraparound windshield, a helm chair with slider and a full vinyl cockpit and casting platform for easy cleanup and durability.